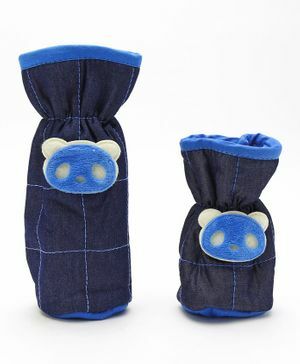 1st Step Bottle Cover is an adorable baby bottle accessory with cute rabbit applique in front. It has colored fabric trim above the elasticized top. This fabric wrap fits standard baby bottles. "Unhappy need return the product"